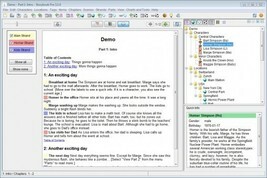 This Listing is for One Brand New Storybook Creative Writing Software Installer Disc. 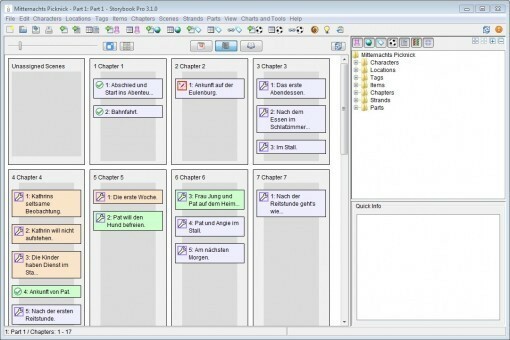 A Great Low Cost Alternative to Other More Expensive Creative Writing Software! Storybook comes with 4 views: The Chronological View shows the scenes sorted by date. Each strand has it's own column. 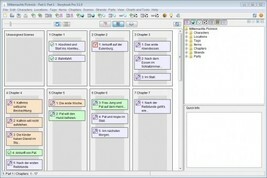 The Manage Chapters and Scenes view shows all chapters and their assigned scenes. Scenes can be moved and renumbered by Drag-and-Drop. The Book View shows all chapters and their assigned scenes sorted by chapter and scene numbers, as you would read it in the final book. The Reading View shows the text as in a final book. Strands can be shown or hidden. 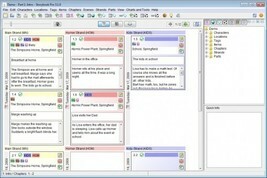 Storybook helps you to keep the overview, especially helpful for complex stories with two or more plot-lines (strands). Imagine it as a kind of a interactive, dynamic mind map. Strands (Plot-Lines): Each scene belongs to a primary strand. Optionally, other related secondary-strands can be linked to a scene. 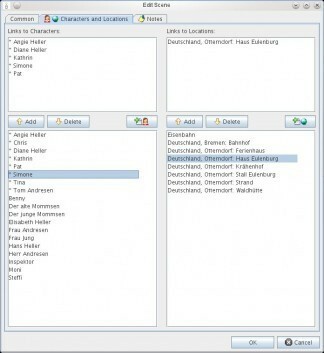 Characters: Add, edit or remove characters and assign them to scenes. A character's gender can be male or female, or you can add your own genders, too. Locations: Add, edit or remove locations and assign them to scenes. Tags and items: Tags and items can be assigned to scenes, locations and characters. The time frame can be defined by setting a start scene and end scene. A table overview shows all assigned objects. Chapters: Define your chapters and assign scenes to them. Parts: Large projects can be split into well-arranged parts. Object Tree: A hierarchic tree shows all characters, locations, tags and items as well as chapters and their assigned scenes. Below the tree all important information about the selected object is shown. If scenes are missing or exist twice, a warning informs you. Global Ideas: While writing authors have all kind of ideas that come up suddenly. No more Post-it needed! With the "Global Ideas" feature, you can save your ideas anytime and assign them to the levels "Not started", "Started", "Completed" and "Abandoned". Adjustable view: All views can be re-sized to fit to screen or to get a better overview. Even more working space is available if you hide the information panel with a simple click on the tool bar. 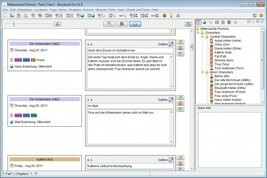 Task List and Navigation: The task list shows all scenes with a status other than "done". With the "Go to date" respectively "Go to chapter" navigation you can easily jump to the desired date or chapter-number. Spell Check: Your text can be checked for spelling. New words can be added to your personal user directory. ****This is not a boot limited, OEM, shareware, bootleg or trial version, No activation or CD key is required to take full advantage of this software. CD-ROM set does not come in a retail box as it is Open Source software. Installation is as simple as inserting the CD in your computer. All the software programs included in this listing and included on these CD-ROM's are Open Source, not "freeware" or "shareware", and fall under the terms of the GNU Public License, and the GNU Lesser General Public License (LGPL). No copyright or trademark laws have been infringed. This product is in full compliance and full accordance to Media Policy and Unauthorized Copies Policy. Thanks for Looking! Please listing with confidence, I only sell items that I would be proud to purchase myself!